Breakthrough Innovation Advisors, LLC was founded by Bruce Vojak to help companies survive and thrive in a volatile, complex and increasingly ambiguous world. 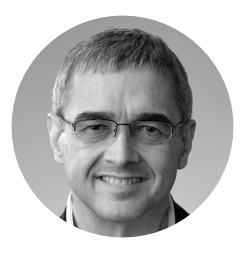 As a leading authority on Breakthrough Innovation, Bruce brings a unique and powerful combination of deep and broad expertise, as well as a rich network of other experts, to guide his clients in harnessing its benefits. Spanning a career at the intersection of business and technology, Bruce has experienced and explored Breakthrough Innovation purposefully and variously. Having first established himself as a successful technology executive in industry, he understands first-hand the business need for and benefits of Breakthrough Innovation. Having later transitioned to academia, he followed his passion by conducting groundbreaking research on the practice of Breakthrough Innovation across a wide cross-section of mature companies and industries. Bruce is co-author of Serial Innovators: How Individuals Create and Deliver Breakthrough Innovations in Mature Firms (Palo Alto: Stanford University Press, 2012) and five book chapters on innovation. He serves on the Board of Directors of Midtronics, Inc., the Advisory Board of JVA Partners, and the Board of Directors of Micron Industries Corporation. He periodically consults on the topic of innovation for Procter & Gamble and regularly presents to, leads workshops for, and advises various other companies. Prior to founding Breakthrough Innovation Advisors Bruce served as Associate Dean and Adjunct Professor in the top-ranked College of Engineering at the University of Illinois at Urbana‐Champaign. Earlier in his career he was Director of Advanced Technology for Motorola’s non-semiconductor components business, held research and business development positions of increasing responsibility at Amoco Corporation, and was on the research staff at MIT Lincoln Laboratory. He holds BS (with Highest Honors), MS and PhD degrees in Electrical Engineering from the University of Illinois at Urbana-Champaign and an MBA, with concentrations in finance and marketing, from the University of Chicago’s Booth School of Business.